Normally when I get Sephora emails, I give them a quick scan and then press delete – but the latest one made me pause and got my beauty-loving heart to skip a beat. I mean – just look at these blushes. GORGEOUS. The colors! The texture! The skin benefits! They are so true and beautiful, no muddied weird shades, no glitter the size of my nostril that will make me look like a disco ball, just the perfect bright pop to make cheeks look glowy and healthy. Since it is winter in New York and I don’t tan, I am paler than the Mr.’s upper thigh this time of year, and a good blush makes a world of difference. I am LOVING these. 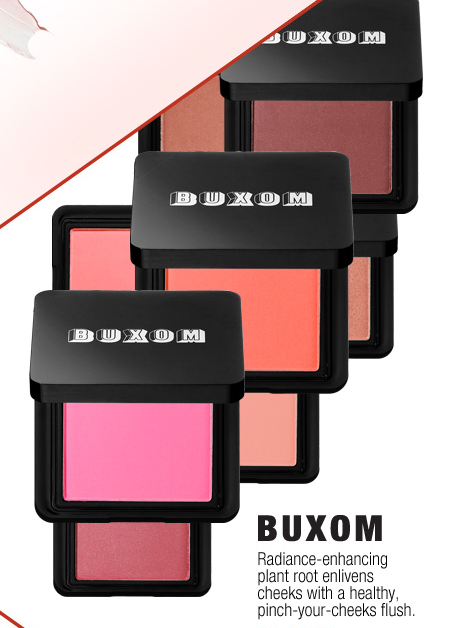 According to the website, the new BUXOM blushes contain rhodiola, “an arctic plant root that makes cheeks appear refreshed, allowing them to come alive with color.” Now, I have never heard of rhodiola, and these blushes could contain just one speck of the stuff and still get away with the claim, but I am a sucker for skin care benefits in makeup, and this makes me want to try them all the more. Who doesn’t want their cheeks to “come alive with color” after all?! As a general rule, I am not a fan of Bare Escentuals, and BUXOM is an off shoot brand. I went through a BE loving phase at the end of high school when the brand first launched, but since then I have found that there are simply higher quality mineral makeup brands available. 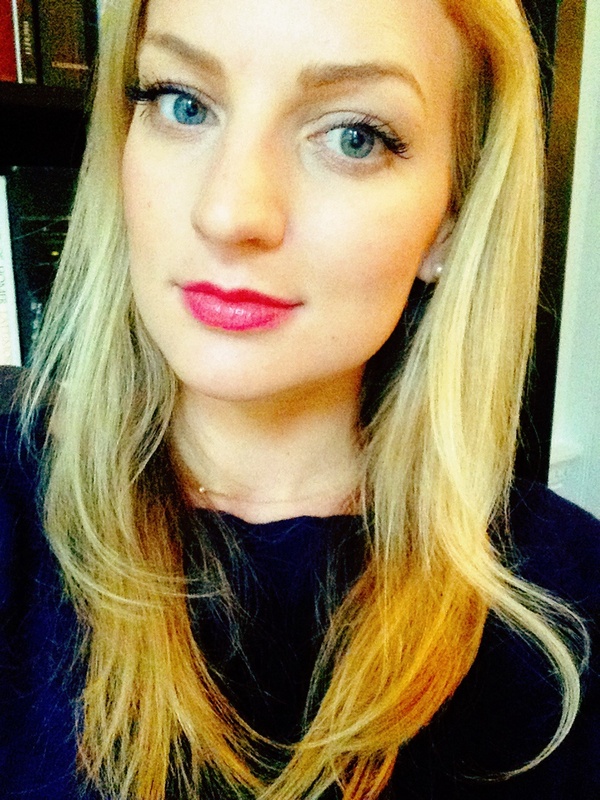 Youngblood Cosmetics and Laura Mercier both make better mineral foundations, in my opinion. 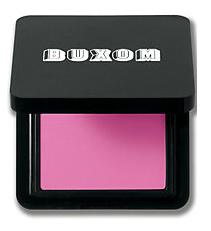 However, this BUXOM brand holds promise – both the True Hue blushes and cute Stay-There cream eye shadows look great. 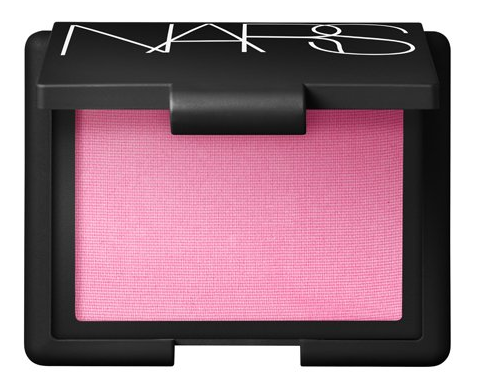 The price point is similar to NARS, (the BUXOM blush retails for $24, NARS blushes retail for $28), but the bright pink of the BUXOM blush looks even better than NARS Gaiety, which I have also been coveting. See the comparison shots below, and let me know your thoughts. I will now be running to my local Sephora and giving these a go. I hope the color pay off is as amazing as these blushes look. If anyone has tried them yet, let me know your results! « Amber Heard’s GORGEOUS Makeup!